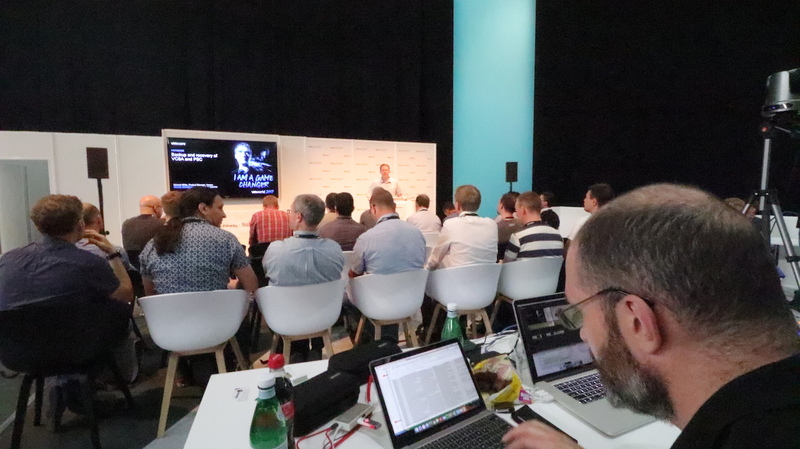 I have been meaning to write about how the vBrownBag TechTalk videos get made. It has taken a few years to get everything together and the setup is still developing over time. We live stream and record video so that the presentation is available to people who cannot attend in person. I have found that our specific requirements are unusual, few other video producers work in quite the way that we do. All of the equipment selection is driven by a set of requirements.